So you really have to travel by car? No problem, Alexandra Park where this year's Auckland Flower Show is being held is on the corner of Greenlane Road and Manukau Rd in Epsom, Auckland, is very easy to get to both from within Auckland as well as from outside Auckland, and with heaps of parking on-site (most of it tar-sealed). Manukau Rd is the main access from the airport to Auckland City and Greenlane Road is one of the main arterial routes between the west and east of Auckland. Both Greenlane Road and Market Road are two exits from the motorway and both lead directly to Alexandra Park, and with parking for approx 5,100 cars on-site (including the ASB Showgrounds) and another 1,000 in the immediate vicinity then you are assured of really great access compared to previous flower shows (for the last 14 years at least). 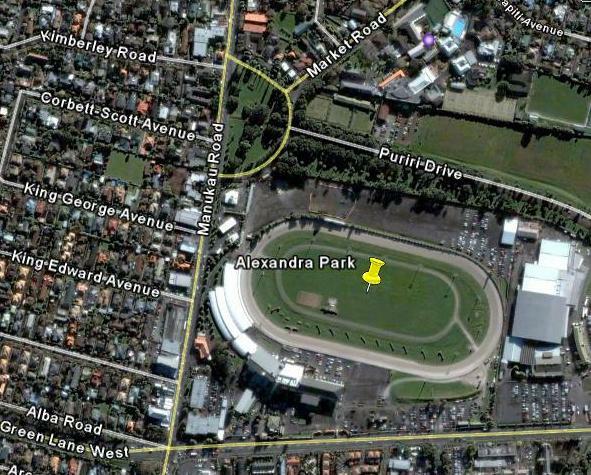 However, Alexandra Park is also exceedingly well serviced by existing public transport, with more than than 200 scheduled buses going right past the venue every weekday, either down Manukau Rd or along Greenlane Rd (and with bus-stops outside the venue). Apart from all the buses, Alexandra Park is just 1.2 km from the Remuera railway station, close enough to walk if you're fit but depending on demand we will also be running shuttle buses to meet both scheduled and any special trains. For those coming from outside Auckland, charter buses will be running from most centres (depending on demand). So please do think about getting to the Auckland Flower Show in the most sustainable and efficient manner if you possibly can - please start thinking about using public transport, it will get you to the door quickly and efficiently, and you'll be doing your bit to help the planet.